I’ve been following a Facebook post and subsequent replies about the cost of tickets for the Rugby World Cup and I was asked to comment about who sets the prices and what guarantee the RFU had to give World Rugby to stage the tournament (Click to read the thread). The answer is too long for Facebook so I’ve reverted to my blog to respond. England were announced as RWC 2015 hosts back in June 2009 and I remember RFU Council meetings before that when the bid was being discussed. The IRB (now World Rugby) asked for an £80m guarantee from the successful bidder and naturally there was some consternation about making a significant loss and therefore damaging the game at all levels in England. The problem is that the host nation has only one source of income: Ticket sales. I wrote about it at the time in my briefing to clubs which you can read here. World Rugby owns the rights to the Rugby World Cup and takes all income from broadcasting revenues, advertising in the stadia and worldwide, and sales of shirts, etc., with the RWC logo. The RFU needs to sell enough tickets to cover the costs of staging the tournament, which are substantial as you can imagine, and still have £80m left over to give to World Rugby. England Rugby 2015, a company wholly owned by the RFU, was set up to run all aspects of the tournament and the ticketing strategy was one of the first things it worked on. When it came out the result was that 2.3 million tickets needed to be sold to deliver everything that was needed and make a profit for the RFU to be put back into the game. The need to have large venues was behind the decision to use the Millennium Stadium in Cardiff and a number of football stadia such as Wembley, Manchester City, Villa Park, etc. Unfortunately most Premiership rugby grounds are just too small or do not meet the strict World Rugby criteria to stage RWC matches. At our last RFU Council meeting in June ER 2015’s managing director Steve Brown gave us an update and at that point over £200m of tickets sales had been achieved. In an interview with the Daily Telegraph last week he said that 90% of tickets had now been sold and that was ahead of schedule. It is likely that the remainder will be sold over the next month or so as the tournament get nearer and people will want to be involved in any way they can. I know that ER 2015 are confident that it will be a sell-out. As for ticket prices there has been some complaining that they are too expensive. For the big games it is true that there is a substantial premium but the fact that these are all sold out justifies the pricing. However, as of today you can still buy an adult ticket for £15 or a child’s ticket for £7 to watch Canada v Romania on a Tuesday night at the Leicester City Stadium. Perhaps it’s not the most convenient of times but there are also tickets priced at £50 to watch Argentina v Tonga at the same venue on a Sunday. 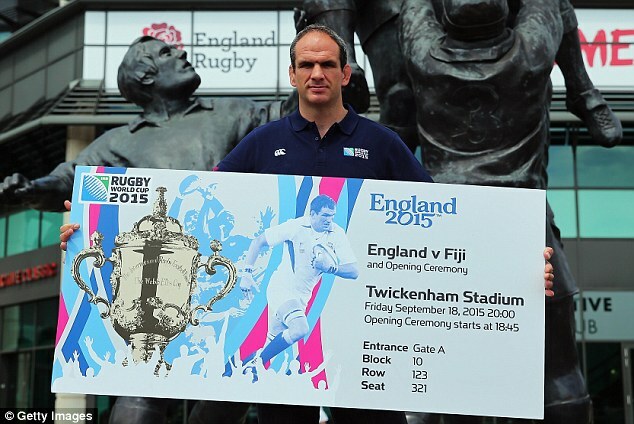 You can also get tickets to see Wales or Australia play at the Millennium Stadium for £50. I don’t think that these prices are all that unreasonable and there are other games involving Tier 2 nations with tickets on sale for less than £50; you just need to visit the RWC tickets website.